Spoonbill, c. 1951, Woodcut/serigraph, image: 4.125 x 3 in. ; paper: 7.75 x 4.875 in. 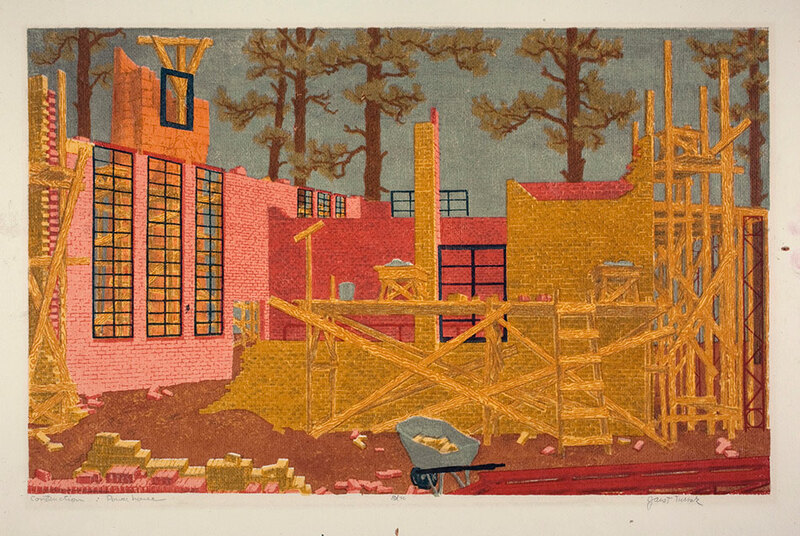 The Meadows Museum at Southern Methodist University present the innovative career of Janet Turner – artist who were deeply rooted in Texas but heavily informed by European and other global influences. Turner taught art at Stephen F. Austin State College in Nacogdoches beginning in 1947 and was awarded a Guggenheim Fellowship in 1952 to study the flora and fauna along the Texas Gulf Coast. 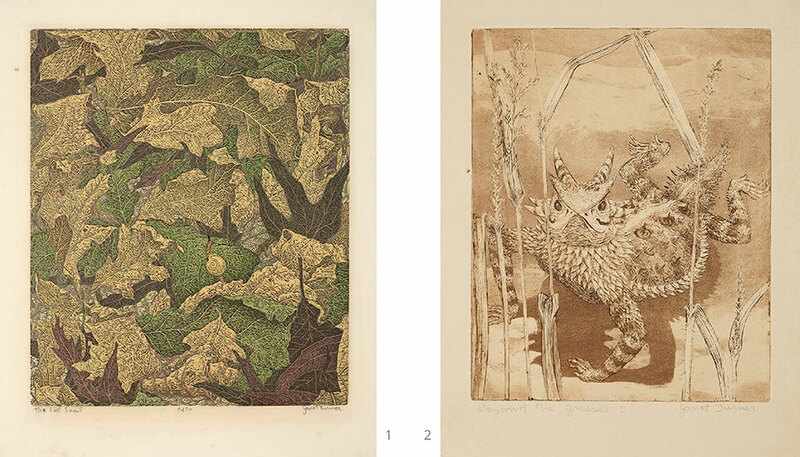 Directing her focus from painting to printmaking, she depicted the power and vulnerability of nature while exploring new printmaking techniques and stretching the limits of her medium. For more than 40 years, Turner inspired countless young printmakers and promoted printmaking as an art form. 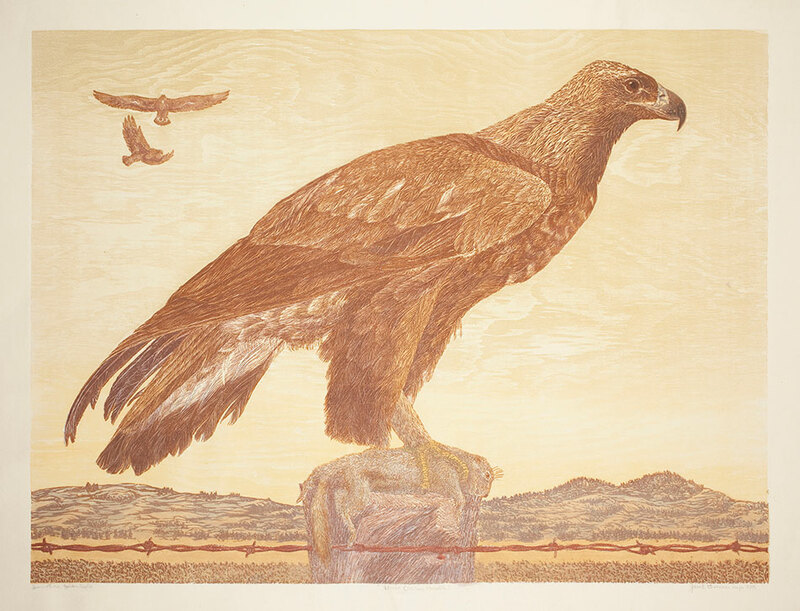 Immature Golden Eagle, c. 1975. Linocut/woodcut/serigraph, image: 22.25 x 29.75 in. ; paper: 25.75 x 34 in. 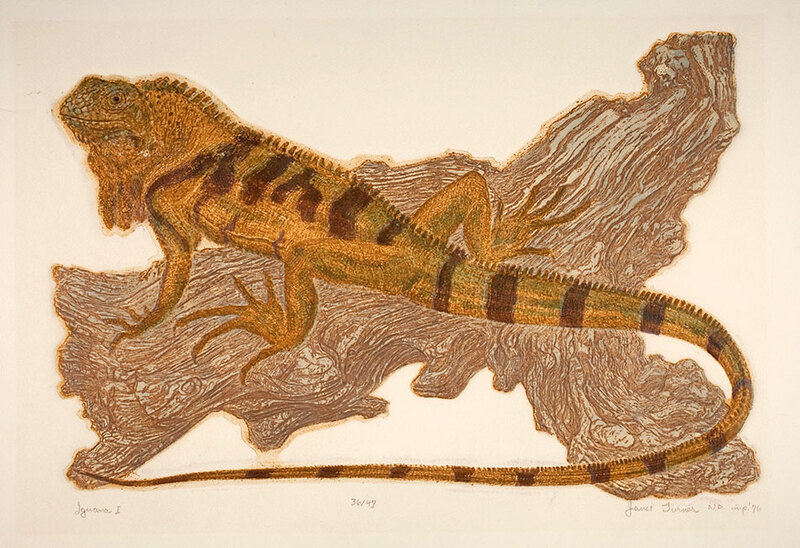 Iguana I, 1976. 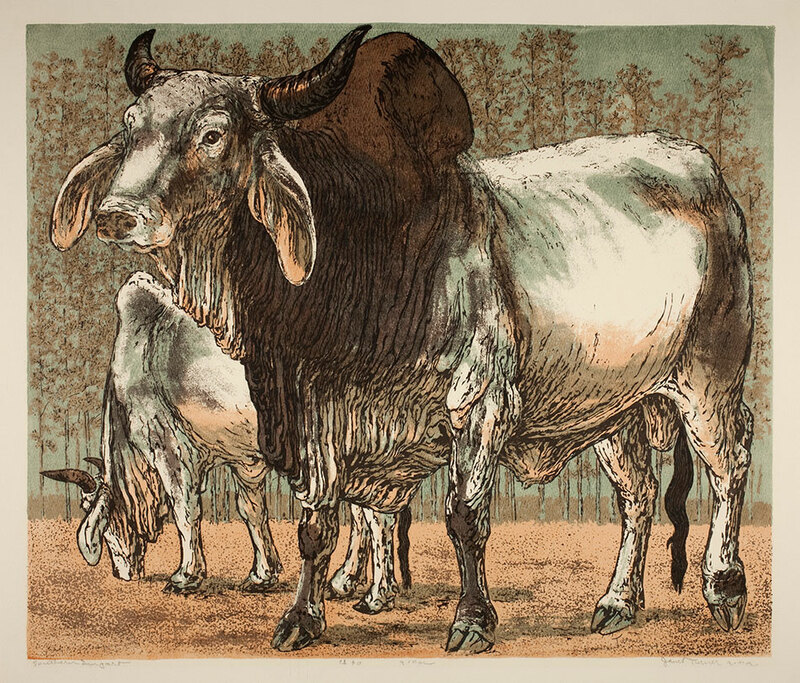 Intaglio/serigraph, image: 11.75 x 17.5 in. ; paper: 14.625 x 21.75 in. 1. The Lost Snail, 1950. Linocut, image: 13.75 x 11.5 in. ; paper: 17.8125 x 14 in2. Beyond the Grasses I, c. 1968. 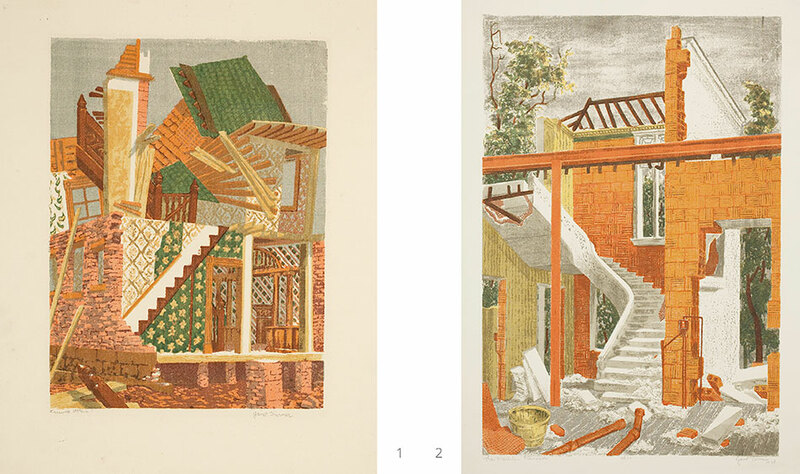 Etching and aquatint, image: 9.75 x 8 in. ; paper: 13 x 10 in. Southern Import, 1953. Serigraph, image: 15.5 x 18.25 in. ; paper: 17.5 x 20.25 in. 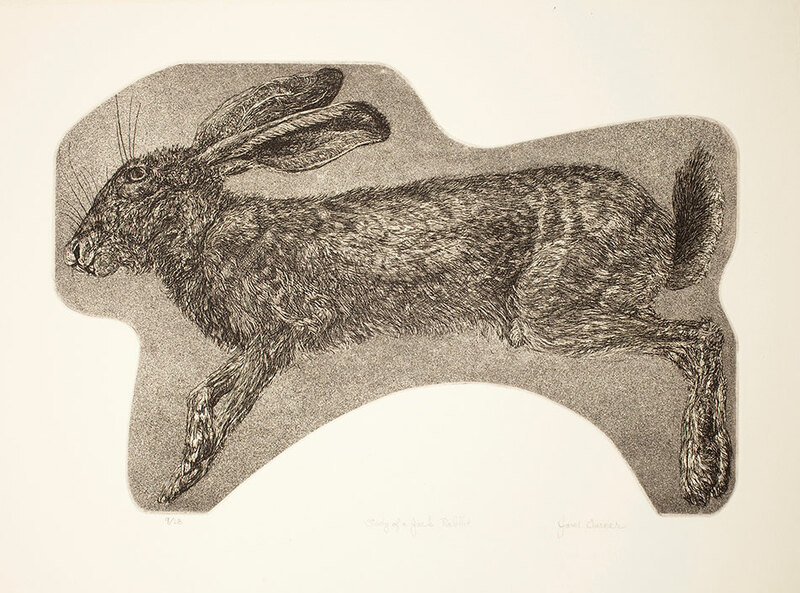 Study of a Jack Rabbit, c. 1966. 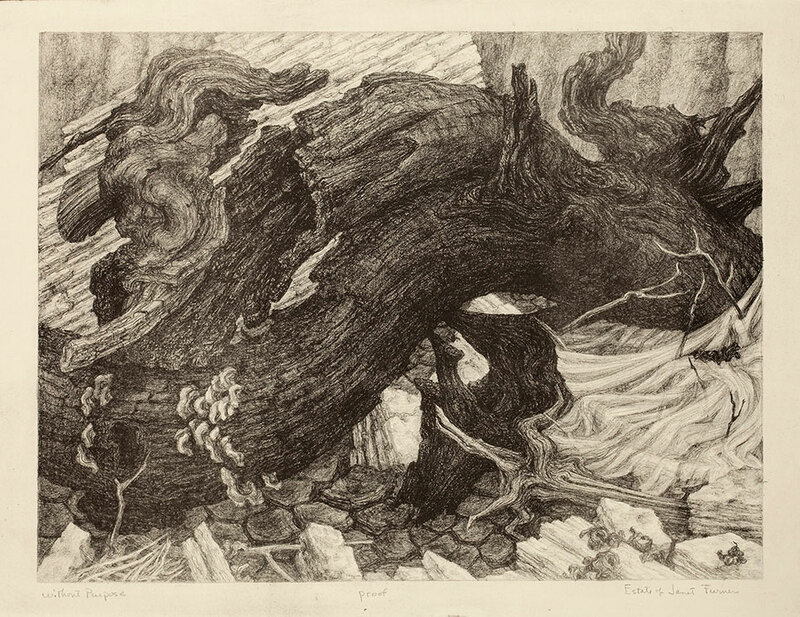 Lithograph, image: 12 x 18 in. ; paper: 17 x 22 in. 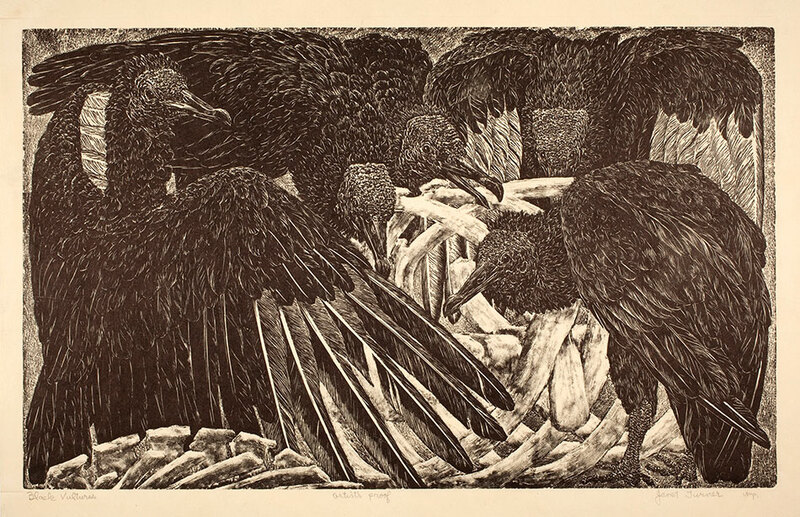 Black Vultures, c. 1950s. Lino/serigraph, image: 11.625 x 19 in. ; paper: 16 x 21 in. Without Purpose, c. 1956-57. Lithograph, image: 11 x 14.5 in. ; paper: 13 x 20 in. Construction: Power House, 1956-57. Serigraph, image: 12 x 19 in. ; paper: 16.25 x 21 in. 1. Farewell, Victoria, c. 1955. Serigraph, image: 12 x 9 in. ; paper: 16 x 13 in.2. The Marble Staircase, 1950. Serigraph, image: 18 x 12.125 in. ; paper: 20 x 15 in. Janet Turner draws entirely from holdings within the Dallas area, including the Bywaters Special Collections of SMU and loans from such private owners as Jack and Beverly Wilgus, who have generously promised their vast photographic collection to SMU’s DeGolyer Library. 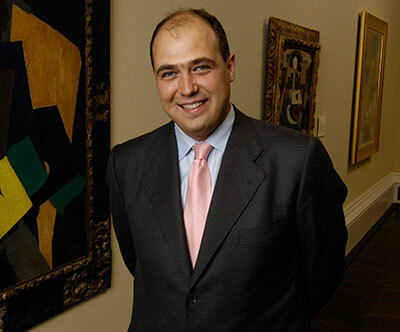 Mark A. Roglán, the Linda P. and William A. Custard Director of the Meadows Museum and Centennial Chair in the Meadows School of the Arts.